This television spot promotes Vermont dairy products by highlighting the natural environment and family-owned farms that make them unique. It also responds to a popular dairy campaign from a western state with a point of view that demonstrates Vermont's hard-working attitude. 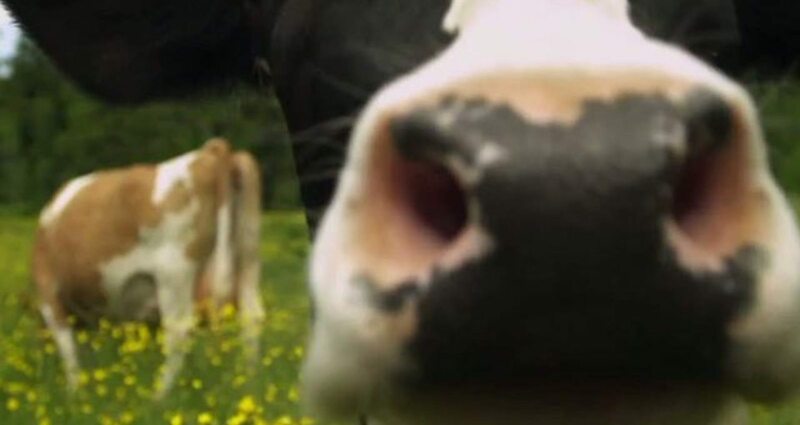 This spot was created to both promote the purchase of Vermont dairy products around the country and show off the beautiful, idyllic landscape visitors can enjoy when they visit the state. A single day of shooting, limited budget for a pair of spots, getting cows to "act," and accurately capturing Vermont's green landscape.